One of the most beautiful and naturally peaceful spots in Europe - with a backdrop of the Dolomites on one side and neat rows of vines on the other - Lake Garda has been a refuge for writers in search of inspiration and stressed out emperors and their hangers-on for millennia. 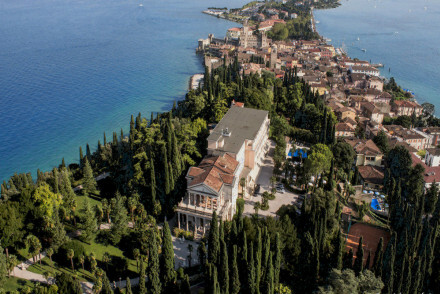 The region's popularity with wealth and power is reflected in the variety and beauty of the lake's resort towns, which the lake's fans, from 16th Century poets to modern A-listers, proclaim aren't just the best places to stay on Lake Garda, they're also the most idyllic in Europe. Despite being the largest of northern Italy's great lakes, Lake Garda's sun-drenched scenery of vineyards, olive groves and cypresses makes it look much more like southern Italy. Lake Garda is around 50kms long, and there are charming resort towns dotted around all points of the lake's compass, Gardone Riviera has to be the most glamourous. One of the pleasures of this region is taking outings to the different towns, with their unique personalities, cultural diversity, pretty churches, ancient frescoes, botanical gardens, promenades, colourful market, local wines and other specialities… Or you could hop between them. Market days differ from town to town, so you can visit each town at its best and busiest. You can hop by local ferry - which range in type of craft from leisurely paced historic paddle steamers to speedy hydrofoils - or drive. The resorts of Garda, Bardolino and Lazise, on the lake's south eastern bank, are linked by a walking trail with charming views, so you can even 'hop' on foot. Gargnano is another good base for walkers, whether you go for a strenuous hike up the towering hills or promenade down the lakeside to ogle the Villa Feltrinelli. Don't miss charming little Montichiari. It may not be right on the Lake, but its hilltop position affords stunning views in all directions. 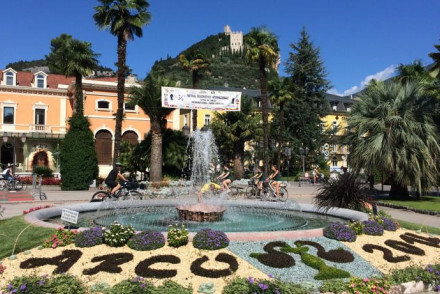 A number of the best places to stay on Lake Garda also offer their guests complimentary use of hotel bikes, and there are some particularly scenic cycling routes between some of the smaller resorts. So, while choosing the right resort is a big part of planning your visit to Lake Garda, hopefully you'll also have time to explore further afield. The views from the funicular up Monte Baldo. The peak is 1760m above sea level and the rotating cabins reveal the lake in all its glory. The Rock of Minerva, now a UNESCO protected site, but once the site of a Roman temple dedicated to Minerva. 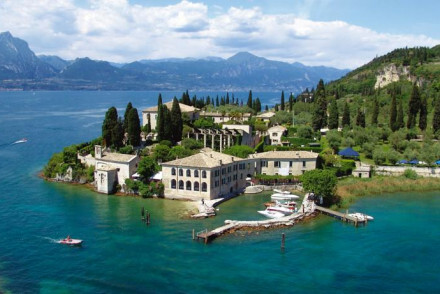 A visit to the small private island, Isola del Garda, and a tour of the scenic formal gardens and sumptuous Venetian villa hosted by the present owners. 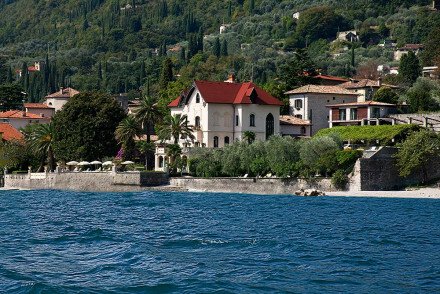 As well as the lake's natural assets and charming resorts towns, Garda also has many beautiful and often extravagant villas, some of them built by Roman senators, and some of them by today's Hollywood A-listers. That's how long this spot has been considered an idyllic spot for a break. 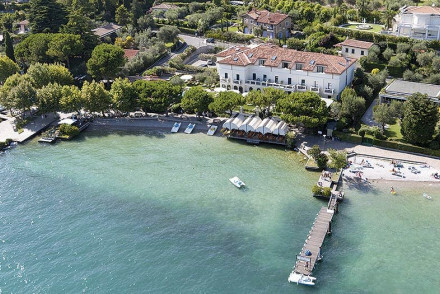 Our Guru's pick of the best places to stay on Lake Garda represents every genre of Italian hotel, from farm accommodation (agriturismo) and old-fashioned pensioni to one of the most luxurious hotels in Europe, the Feltrinelli. Why Stay on Lake Garda's Northern Shore? The lake's north is narrower and lined with steep, green slopes and high peaks. This is where you'll find the best conditions for watersports, climbing, hiking and mountain biking etc. - this is the lake's active holiday Mecca. Part of Austria up until the end of WWI, the lake's northern side still serves Austrian style hams and salted beef, and the towns have a more northern European flavour. Why Stay on Lake Garda's Southern Side? The lake widens to the south, and it is much warmer, more Mediterranean, away from the breeze which sweeps in off the Dolomites in the afternoons. The resort towns here have more vineyard views and more of an Italian flavour. This is where you'll find the campsites, family friendly farmhouses and spa towns. This is still a beautiful place to explore on foot, but it's flatter and much easier going. Lake Garda's southern region broadens into two bays sheltered by the Sirmione peninsula - as well as being in a prime position for beautiful views, Sirmione is also known for the ruins of a Roman villa and a 13th Century castle, so this is definitely a town to visit even if you don't stay here. The Romans probably built here because of the nearby sulphur springs. Bardolino, linked by the lakeside path to Garda Town and Lazise, and Salò or Torri del Benaco are other popular towns on the lake's southern edge. 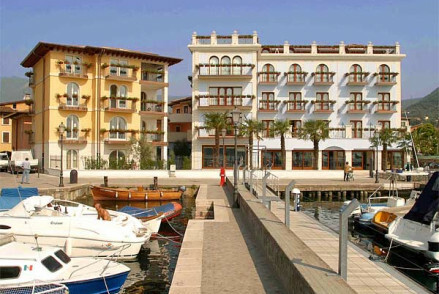 Bardolino began as a fishing village but has become a relaxed and cosmopolitan centre, with an elegant 19th Century esplanade. Salò is known for its arcaded waterfront. 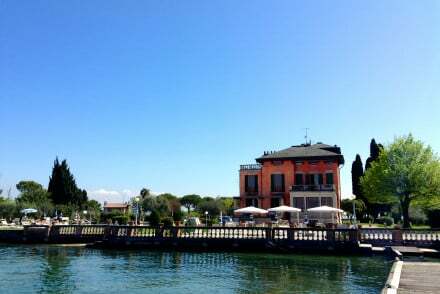 Desenzano is the largest of the lakeside towns and while it's definitely the 'good transport hub', that the guides tell you, it's also lively and historic. Villa Cortine Palace typifies Lake Garda perfectly. Sitting right on the tip of the Sirmione peninsula, this grand old villa hotel is rich with frescoes, antiques and lovely 30s style rooms. It's also surrounded by its own gardens dotted with fountains and neoclassical statues, so it's very romantic. Locanda Agli Angeli is a restaurant-with-rooms with bags of charm. Several of the nine rooms have four poster beds, so this is also a great option for romantics on a budget - rooms start from £67. In Torri del Benaco, one of Lake Garda's prettiest Verona side fishing villages, Gardesana is simple and charming, with excellent views of the bustling little harbour and an excellent restaurant. The main towns along Lake Garda's northern shores are Riva del Garda, Torbole and Limone. The mountains and cliff faces around these towns trap the warmer air, creating wonderfully windy conditions for sailing and other wind and water sports. The winds also offer a respite for those who like their beachside afternoons cooled by pleasant breezes - there are beaches, natural and manmade, all around the lake. Riva del Garda is the lake's second largest town, but has arguably the most beautiful setting. This is a popular spot for visitors who like a bit of city bustle to their lakeside break. Just nestled behind it is Arco, a quieter option. And Limone is the sweet-scented lemon and olive oil capital with the wonderfully rich history, historic harbour and lush surrounds. On the northern Verona side shore, Malcesine is one of Lake Garda's prettiest medieval towns, with the requisite castle above narrow winding streets, now populated by lovely little boutiques, cafes and restaurants. 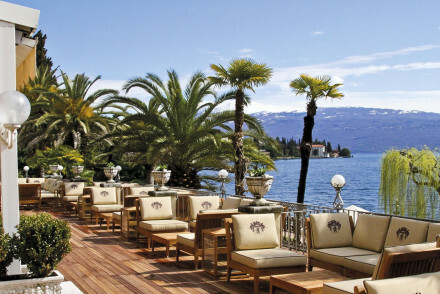 The LIdo Palace offers five stars worth of wonder right on the shores of the lake and at the foot of the mountains - this is really one of the planet's most idyllic settings. Behind the Liberty style facade are sleek, contemporary rooms, an award winning spa and a Michelin recommended restaurant. 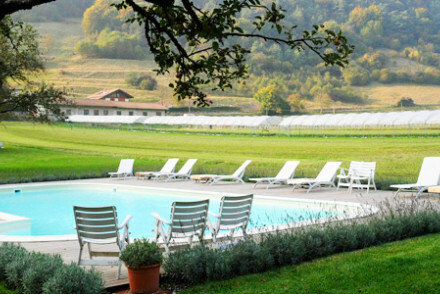 Bellevue San Lorenzo sits high on the flanks of Monte Baldo, a popular, Belle Epoque villa in beautiful grounds, converted into a simply furnished modern hotel. From this height, you get a panoramic view of the lake. Right on the water's edge, the Villa Giulia is a handsome, Victorian affair with large, light, airy rooms and a collection of lovely antiques and water-view terraces. Rooms start from £194 per night. 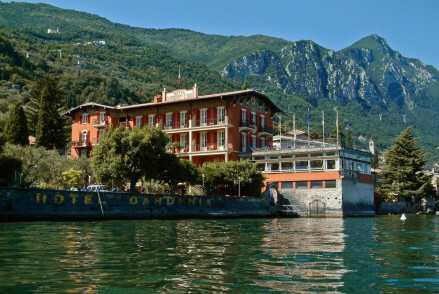 Hotel du Lac enjoys a wonderful lake-side location, just outside Gargnano. This period Venetian style villa offers just twelve classically styled rooms (six with lake views and balconies), plus a lovely breakfasting terrace which almost hovers above the water. The Gardenia al Lago (sister property to the Hotel Du Lac) boasts a similarly impressive lakeside location, and here you'll find an elegant small hotel (only seven bedrooms) filled with period furnishings, plus offering a sun terrace and restaurant overlooking the water. 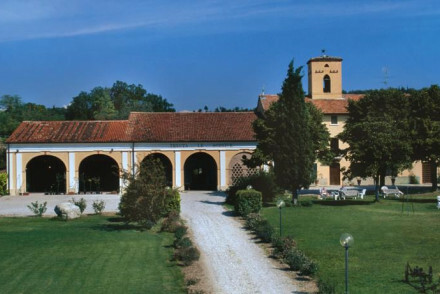 Locanda San Vigilio, just above Garda and bustling Bardolino, is an elegant and intimate hotel right on the lake. Originally owned by an Italian Count, this grand dwelling has been a hotel for the last 500 years. So it's an extra special, and traditionally luxurious place to relax. Villa Arcadio, in charming Salò, is a fabulous stone villa built on a hilltop which offers spectacular views of the lake. The decor is bare but beautiful and the restaurant is gourmet. This is luxury at its most refined, rather than opulent, but it's also affordable, with rooms starting from £201 per night. 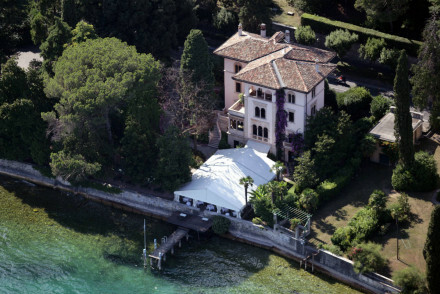 Lake Garda has always attracted those for whom money is not a problem, and, if you can afford it, the Villa Feltrinelli is a wonderful place to stay. Converted from a historic house, with superbly restored art and antiques, this house now offers Michelin starred dining as well as its serene location. Rooms start at £837 per night. Bella Riva has direct access to the lake and the views are spectacular, from the pool, the restaurant and a number of private terraces. As well as views, the Bella Riva also specialises in watersports. 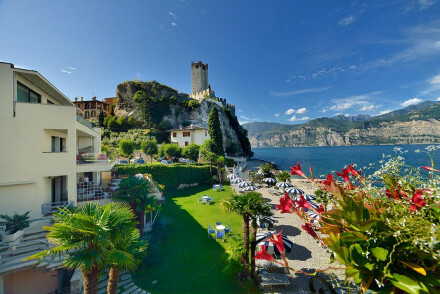 The Lefay Resort & Spa is perched on a hilltop, so the views of Lake Garda are panoramic, rather than close up. Some of the rooms have private hot tubs and sun decks and these tend to have special views as well. As do the gardens and pool areas. Dimora Bolsone offers more 'bird's eye' views. this time from a restored medieval manor house above the town of Gardone Riviera. The B&B itself has extensive grounds, but this is also a great base for walkers. And it's right next to the Vittoriale Degli Italiani, the magnificent home of the poet Gabriele DiAnnunzio. 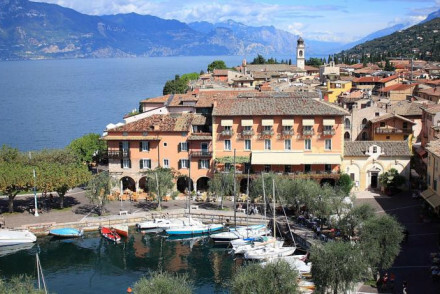 As well as the beaches, historic sites, pretty towns and markets and the possibilities of trying all sorts of different watersports, Lake Garda also has the Gardaland Theme Parks, near Lazise in the south eastern corner, which are great for a kid's day out. So this is a great destination for families. 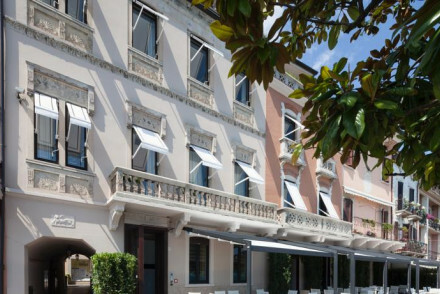 Hotel Laurin, near Salò is perfect, elegant Lake Garda glamour on the outside, and frescoes and Art Deco furniture on the inside - yet it's big enough, and modern enough, and has enough of a garden and pool, to be ideal for families. 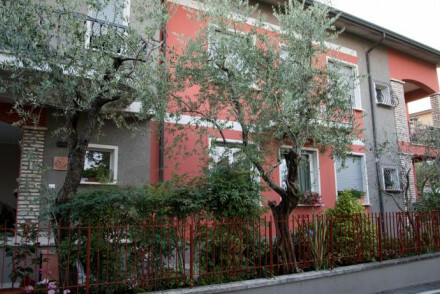 Also in Salò, Hotel Bellerive has large, stylish rooms and apartments overlooking the lake, many of which are large enough to accommodate a whole family. They'll also help organise sailing, cycling, golf and picnics - for example. 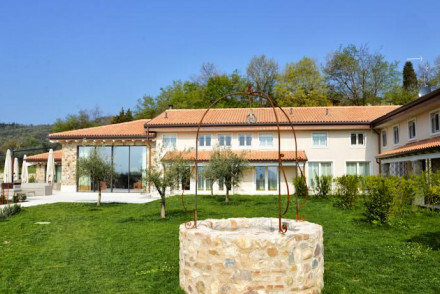 While Tenuta Le Sorgive isn't on the lake, this agriturismo is only a short distance from the lake's southern bank, yet surrounded by countryside. This is a great place for a healthy, outdoorsy break, with lots of activities on offer and a restaurant which serves food grown right here! And rooms start from just £81 per night. La Finestra Sul Fiume is another rustic charmer, this time with only five rooms, so you can be guaranteed peace and relaxation, but with all the pleasures of the lake nearby. 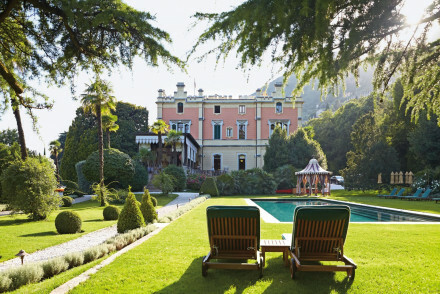 The Hotel Villa Rosenhof in Gardone Riviera is a charming, peach-coloured lakeside villa with just two suites. Both have sitting areas and country views, plus you have access to a swimming pool in a partner property up the road, which also has a large sun terrace and a buffet breakfast. 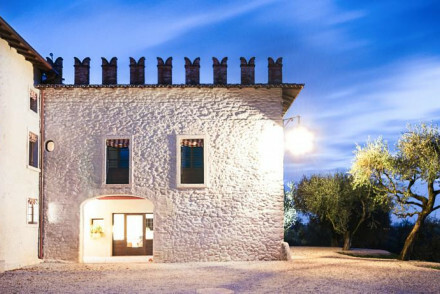 On the hill above Gardone Riviera, Dimora Bolsone is a stylish, ten room B&B in a converted medieval manor house. Quiet and secluded, you get views over the whole area from the house’s position above the town, plus there’s a lovely garden and simple rooms with nice antiques and objets. 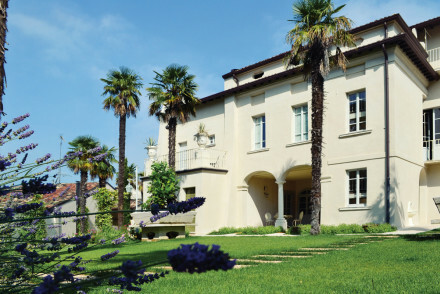 Also in Gardone Riviera, the Villa Vittoria is a graceful villa set amongst palm trees. There are eight large bedrooms, with chic, white interiors, beamed ceilings and Persian rugs. There’s also communal living and dining areas. Rooms start from around £70 per night. 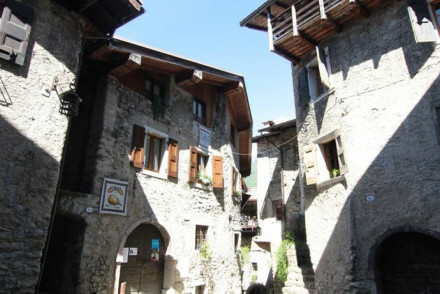 The Garni Gianmartin in Limone is a seven room B&B on the main square, just minutes from the beach. The rooms are simple and comfortable, and all have lake views. The suites have their own private terraces as well. The breakfasts are hearty, and the rooms, with breakfasts, start from around £70 per night. The Vivere Suites are a sleek collection of six contemporary ground floor suites, all with private gardens and kitchenettes. There’s a spa and pool onsite and there’s plenty of facilities for outdoor adventures close by. La Finestra Sul Fiume is a rustic, five room B&B set on the side of a river, between Lake Garda and Verona. 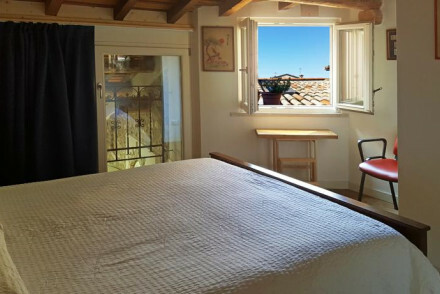 This peaceful stone cottage has whitewashed walls and exposed beams, plus romantic terraces. 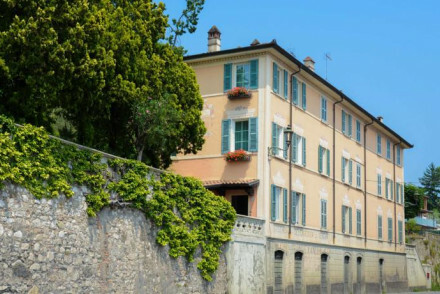 If you're confident a B&B is for you, here's a ful list of the best B&Bs on Lake Garda. 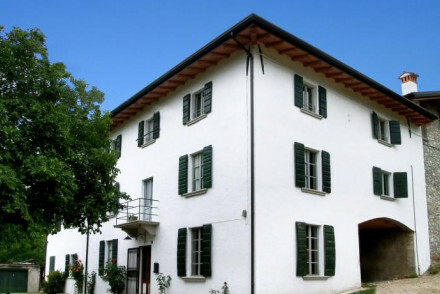 The B&B Big Sur in Gardone Riviera, is in the hills, just above Lake Garda, and has three simple, but stylish rooms. Perfect for families and groups. Rooms start from £50 per night. Sirmione’s Il Mosaico B&B is a six room, adults only B&B set just back from the lake. There’s comfortable, contemporary decor, air conditioning, wifi and plenty of parking, and all for around £55 per night. 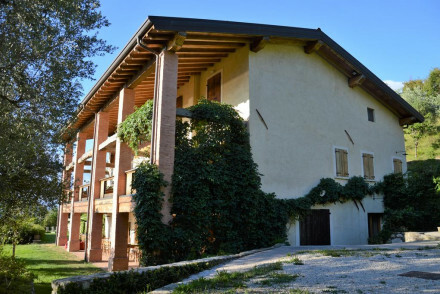 The Villa San Pietro in medieval Montichiari, is a spacious B&B right in the heart of medieval Montichiari. There are just three rooms, but they’re each very spacious and individually decorated with antiques and family heirlooms, plus there’s a very warm welcome and plenty of activities on offer. Room start from around £70 per night. Prefer a self-catering Apartment or lake-side Villa? Sometimes a villa or apartment is the best option if you're travelling in a larger group, so if you decide that you'd prefer a self catering option, check out our online booking partner, booking.com for some inspiration. Lake Garda is positioned between several international airports: Verona-Villafranca, which is about 15kms away and Brescia-Montichiari, which is about 30kms away. But it’s also about 100kms from Venice Marco Polo airport and from Milan’s Linate and Malpensa. Alternatively there are good rail links to the lake. If you want to hire a car - which we strongly advise if you’re staying on Lake Garda - we recommend you visit our online partner, Rentalcars. Lake Garda has always been an extremely desirable holiday destination, so if you're planning to visit in the high season you should expect full hotels and reservations required for the most popular restaurants - but this is the place to see and be seen, and the bustle is part of the shining appeal. 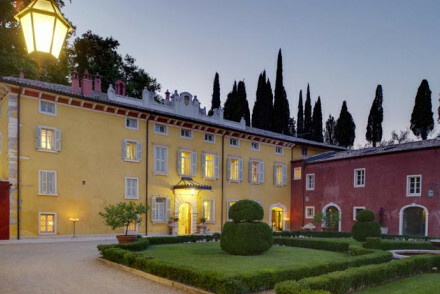 Even if you're not hoping to visit in peak season it's still advisable to book the best places to stay on Lake Garda several months in advance - and even then charm and diplomacy may be required. 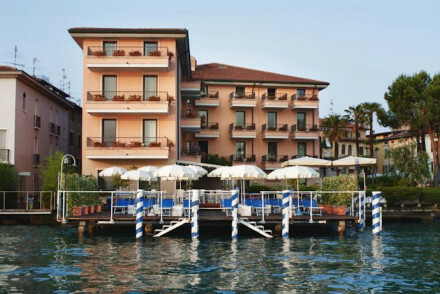 Still not sure which is the best place to stay on Lake Garda for you? Popular belle epoque villa with lovely grounds overlooking the lake. Five Italian Villas with simple traditional rooms. Highlights include outdoor pool, fitness centre and small relaxation spa. Good value for a stunning spot. Views - Wonderful views of Lake Garda. Great walks - Walk along the promenade to the picturesque Val di Sogno, a superb spot for lake bathing and water sports. Local markets - Malcesine’s Saturday market is not to be missed, with a range of local produce from food to soaps. Sailing - Rent a boat and sail around Lake Garna, explore the shores and take in the sights. Slightly set back from the Lake Garda waterfront, Il Mosaico offers good value accommodation ideal for those looking to explore the area by car. Comfortable, air conditioned bedrooms are striking in moody palettes with all the mod cons. Includes free Wifi and plenty of private parking. 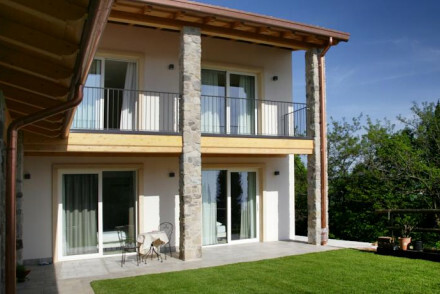 A small eco property nestled in the picturesque hills near Lake Garda. Charming rooms feature beamed ceilings, tiled floors, crisp white linen and private terraces. A fabulous restaurant serves up regional dishes using home-grown produce. There is a sauna and infinity pool too. Eco break - An eco friendly hotel which has used sustainable architectural design and the restaurant takes its produce from the garden. Sights nearby - Visit Il Vittoriale, the home of 20th century poet and eccentric Gabriele D’Annunzio. Great walks - Take a stroll through the nearby André Heller Botanical Garden. A short drive from Verona and just a few minutes from Lake Garda, this is a great location for those looking to get out and explore the area. Set in an old farmhouse courtyard, bedrooms have been decorated in a contemporary style with a rustic feel. Natural earthy tones and exposed stone walls. Value chic - Beautifully chic rooms and prices from just €70 per night including breakfast......a bargain! Owner managed, this welcoming bed and breakfast has a lovely garden, swimming pool, free bikes; and several comfy bedrooms. Country style interiors give it a rustic charm and kitchen breakfasts add a homely touch. Staff have lots of good local knowledge and nearby restaurant recommendations. 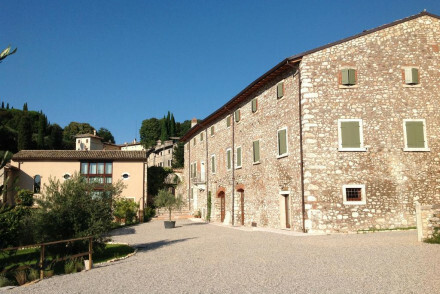 A charming bed and breakfast in the hills above Lake Garda. Three simple, stylish, homely bedrooms (one with shared bathroom). Great for families or groups of friends. Lots of outdoor activities nearby and just a short drive to the Lake. A great value hideaway off the beaten track. Less £ - With doubles from as little as €60 per night including breakfast, it is exceptional value for money. A medieval house, renovated extensively in 2013. Original stone walls and fire places add an authentic charm to this cosy bed and breakfast. 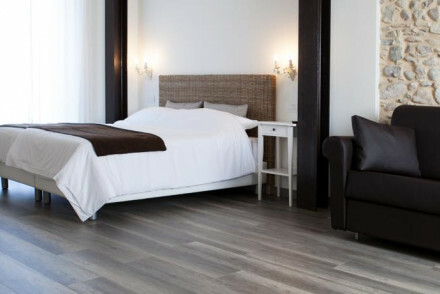 Spacious bedrooms with contemporary furniture and hard wooden floors. A good location for keen cyclists with popular bike trails nearby. Value chic - With smart accommodation from as little as €80 per night including breakfast, you can't go wrong. Great walks - There are good mountain trails and paths around for walkers of all abilities. A delightful B&B in an ancient building and a stunning location. Italian-style antique furniture, wooden beams and stone walls. An outdoor pool with a covered sitting area perfect to catch up on some reading. Gourmet breakfast is included. A great base for exploring the area. A gorgeous seventeenth-century house in the heart of a tiny village made of narrow alleys and olive groves overlooking Lake Garda. The four bedrooms are clever mix of contemporary design and period features. A grown up, great value, laid back home from home, ideal for exploring the region. Value chic - This B&B respresents excellent value for money with lovely rooms from just €90 per night including breakfast. 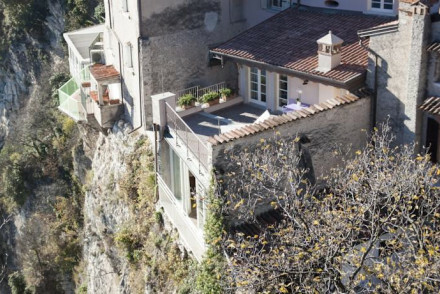 A charming B&B facing Lake Garda. Four poster beds, antique furniture and decorated with white drapes, it is beautifully romantic. Has an infinity pool and sun terraces with stunning views. Very eco friendly it is a true rural idyll. 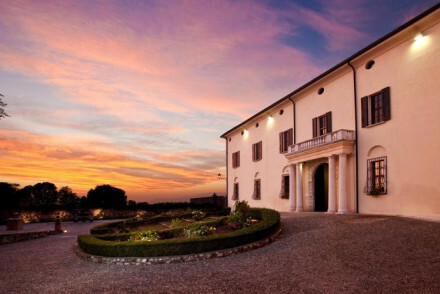 A romantic, fairytale Italian palazzo in the picturesque village of Montichiari. Rooms are elegant and suites come with muslin-draped four posters and huge walk-in showers. The owners ensure you feel like friends, not guests! A perfect base for exploring the lakes and castles of the Brescia region. Sights nearby - Just 20 mins from Lake Garda, and easy access to Verona, Mantua, Bergamo and Cremona. A small chic B&B, built and furnished using only natural materials from its surroundings. Just a five minute drive away from Lake Garda it makes for a great base to explore the local area. Benefits from an inviting outdoor pool and delicious buffet breakfast. A rejuvenating escape. 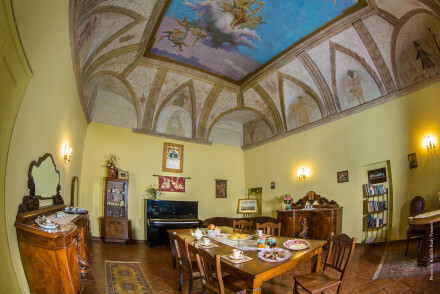 Charming B&B in the centre of mediaeval Montichiari. Three spacious rooms are all individually decorated and feature antiques which have been in the family for years! Expect a warm welcome and loads of activities from ping pong to cookery classes. A real Italian home from home. Rooms with floor to ceiling windows, luxurious bathrooms and hot tubs. An in-house restaurant with a covered patio overlooking the lake. Gorgeous set-up in the best location. Right on the lake within easy reach of town. 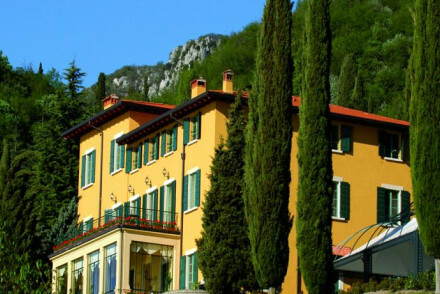 An eco friendly hotel in a spectacular setting close to Lake Garda, Lake Ledro and surrounded by mountains. Simple attractive rooms, a restaurant with Eastern European flair, swimming pool and spa. Fishing, cycling, skiing, walking etc. Perfect for families and the great outdoors. 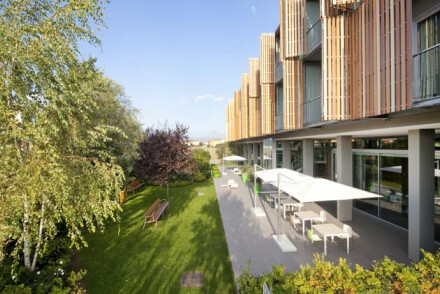 Eco break - The hotel is completely eco-friendly in terms of energy and building materials. Skiing - In the winter, excellent for cross-country skiers. Views - Spectacular views over Concei Valley. With one and two-bedroomed accommodation it's great for families. White on white decor with traditional artworks. Borrow a bike to get about or enjoy a barbecue on site. Many restaurants located within easy reach. Includes a grand breakfast and wifi. No pool but there is a hot-tub. This charming peach coloured lakeside villa has two comfortable suites with sitting area, country views and all the mod cons. Enjoy access to a swimming pool overlooking the lake with a large sun terrace and take buffet breakfast at the partner hotel 50 yards down the road. Local exploring - Well located for exploring Gardone Riviera and the surrounding area. 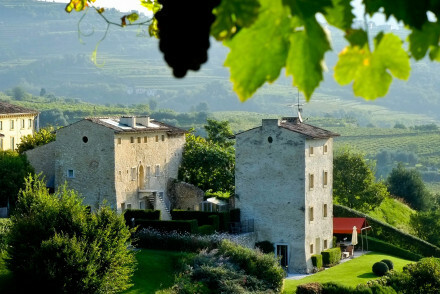 Up in the Valpolicella hills lies this luxuriously converted 17th century stone house. With a gorgeous terraced garden, plunge pool and stylish bedrooms - it is a delight. The hosts, Mara and Filippo have good local knowledge and are more than happy to recommend activities and restaurants nearby. Romantic Break - With just two luxury suites and no children under 14 it's perfect for an escape a deux! Surrounded by 40 acres and overlooking Lake Garda, this charming villa was once an old hunting lodge. The bedrooms have a unique homely feel with antique furniture and are all individually named. Enjoy the elegant art nouveau dining room which gives a refined noble feel to this charming retreat. Local markets - Visit Gargnano which has many charming shops. 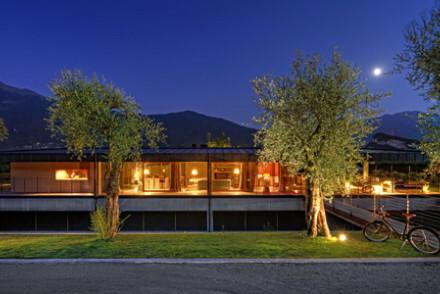 A contemporary hotel with minimal interiors set in peaceful gardens just a short drive from Lake Garda. Bedrooms are simple and walls are adorned with modern Italian art pieces. Situated between Lake Garda and Verona, this is an ideal spot for anyone looking to visit nearby villages and attractions. A traditional Italian villa set in the hills above Lake Garda surrounded by vines and olive trees. This country house has an authentic rustic style - bedrooms are decorated with antique furniture and fresh flowers. Unwind in a hammock in the secluded garden or laze by the swimming pool. Hideaway - A lovely off the beaten track hillside location, takes you away from the lakeside crowds. 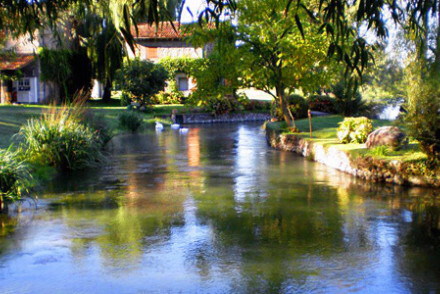 A rustic B&B in a magical riverside setting between Verona and Lake Garda. A stone cottagey building houses 5 lovely rooms with wooden beams and white washed walls. Enchanting terraces dotted around the property soak up the sun. A great choice for rural romance, nature lovers or families. Delightful rural hotel wrapped in rustic charm. The Castello's traditional interiors are conserved with antique furniture and elegant wooden beds. 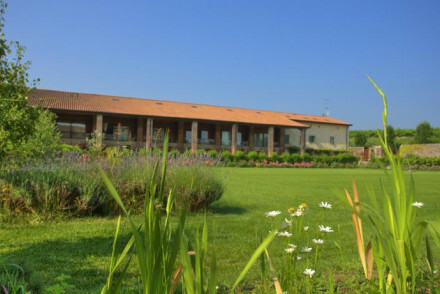 Surrounded by rolling vineyards, it's perfect for a quiet hotel within easy reach of Lake Garda. Great walks - Beautiful walks in the nearby Parco Natura Viva. Sights nearby - Visit the nearby Sirmione Castle. 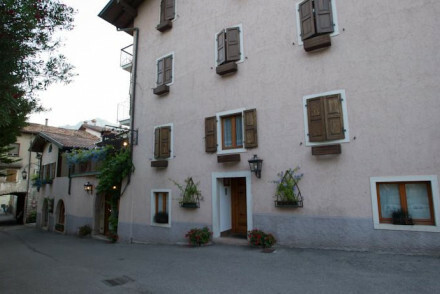 A charming 18th century stone guest house on a quaint street just a short drive from Lake Garda and Verona. 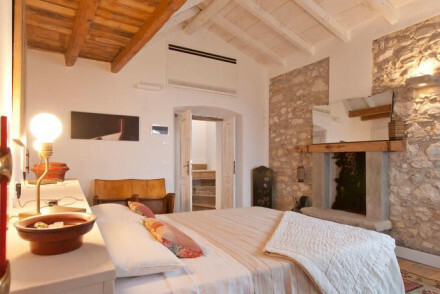 Bedrooms have been decorated in a contemporary rustic style - exposed stone walls and distressed wooden furniture. A sleepy little riverside town with charming restaurants nearby. Overlooking Lake Garda with fantastic views from its hillside location, this secluded rustic guesthouse is a relaxing spot, off the beaten track. Simple but stylish bedrooms have either a terrace or balcony for enjoying the views, plus there's an infinity pool in the pretty garden. Views - As its name suggests, the view here is jaw dropping. Hotel Eden offers guests fantastic lake side accomodation with a private sun terrace and relaxed outdoor dining. 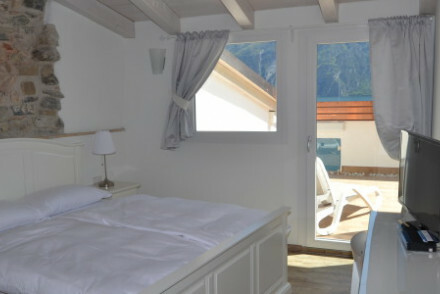 Bedrooms are air conditioned with simple, contemporary decor - often with lake views. A charming and picturesque spot with great activities on offer in the surrounding area. Set on the cobbled streets of Malcesine, Porto Vecchio 10 is a delightful, small B&B. The original townhouse brims with rejuvenated character and the rooms are cosy and comfortable. With Lake Garda on the doorstep, it's the perfect quiet spot for couples looking for a romantic holiday. Great walks - Superb walking in the nearby Monte Baldo range. Sights nearby - Five minutes walk from Castello Scaligero. Local markets - Explore the local markets of Malcesine. 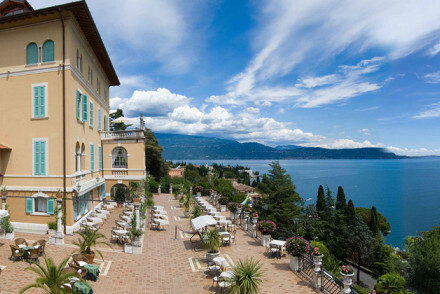 A luxury hotel with enviable access to both the mountains and Lake Garda. Elegant rooms feature floor to ceiling windows, striped wallpaper and sink-in-to beds. The restaurant whips up delicious dishes from high quality local produce. The perfect spot for adventure enthusiasts. Active Holiday - With Italy's largest lake infront and mountains behind the area is a veritable playground for adventure enthusiasts. Sailing - Hire a boat for a day's sailing on the picturesque lake Garda. Great walks - The hotel is just a nine minute walk from the nearest beach. Hotel Sogno, in the quiet village of Valtenesi has a gorgeous private beach, small jetty and peaceful dining terrace overlooking the lake. The bedrooms are contemporary yet quaint. Suites have private balconies and even a sauna. Arrange lots of activities through the hotel - a great Lake Garda spot. Corte Guastalla is all about traditional Verona interiors. Antiques complement the wooden-beamed ceilings and parquet floors, but the rooms are fresh and contemporary. Situated between Lake Garda and Verona it offers a gorgeous base from which to explore city or countryside. 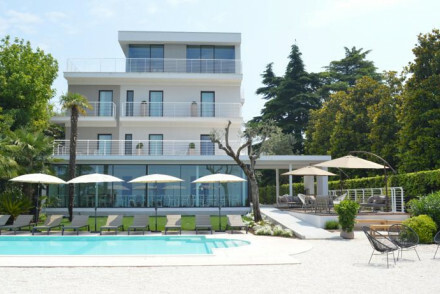 This elegant hotel, set in the hills above Lake Garda has a fabulously tranquil swimming pool and large sun terrace with beautiful panoramic views. 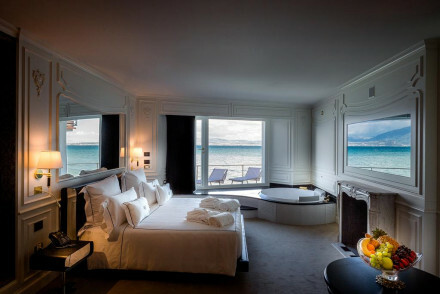 Each of the five contemporary bedrooms has a private sun deck with loungers. A relaxing refuge. 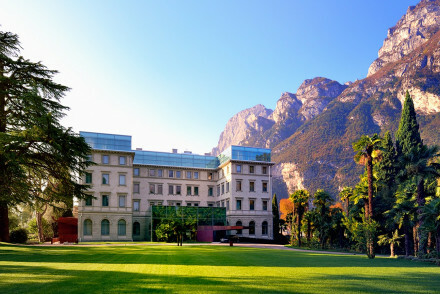 Palazzo Arzaga boasts vast scenic grounds which include a private golf course, spa and small chapel. Dating back to the 15th century, the hotel has kept some original features - period frescoes, charming cellar with dining and oak beamed ceilings. A delightful spot to relax. Stylish bed-and-breakfast in restored medieval manor house with breathtaking views high above the town. Lovely garden, simply styled rooms full of antiques and objets. Quiet, secluded, a good base, set in a nature park with wonderful hikes. Great walks - Maps available. Walks suitable for all from gentle strolls to more adventurous hikes. 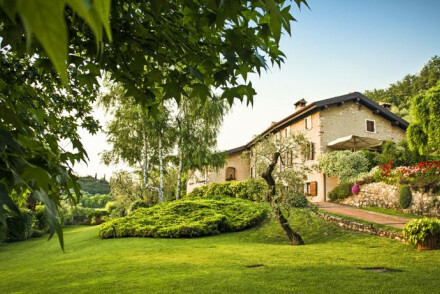 An elegant Italian farmhouse surrounded by 45 acres of postcard perfect views across Lake Garda. Smart, country style bedroom suites and a peaceful garden with private pool. Farmhouse style breakfasts are on offer with lots of local produce. Perfect for local exploring and exclusive hire. 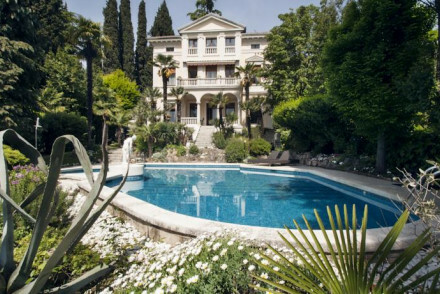 An 18th century palatial villa just 10km from Lake Garda, with formal Italian gardens and parkland. Rooms are decorated in a Venetian style with period furniture, high ceilings and original stone fire places. The restaurant favours traditional dishes with local produce. A stunning Italian estate. Sights nearby - The perfect base from which to explore both Lake Garda and Verona. 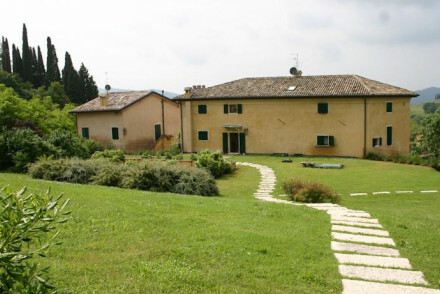 A beautifully converted 18th-century farm, outside the medieval village of San Verolo. The restaurant heaves with happy customers every evening, testimony to the incredible food. Rustic chic bedrooms with vibrant walls and crisp white sheets. Heavenly pools and fragrant gardens seal the deal. Great walks - Explore the the medieval village of San Verolo and surrounding countryside. 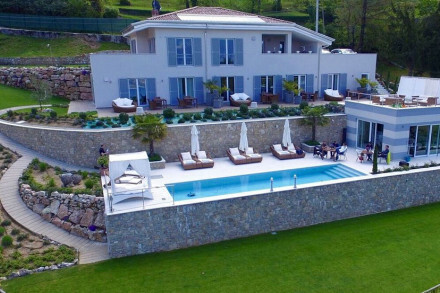 An elegant five star villa surrounded by beautiful, manicured gardens on the edge of Lake Garda with outdoor swimming pool and tennis court on site. A choice of two restaurants - relaxed outdoor terrace or smart fine dining. Bedrooms are traditional and stylish with high ceilings and large windows. Very romantic and grand late 19th century, Liberty-style villa with historic interiors and gourmet food. Timeless, traditional rooms with antiques, lakeside views, and lovely gardens and terrace. Intimate and refined. Sights nearby - Vittoriale degli italiani the architecturally fascinating hillside estate in the town is only a 15 minute walk away. Great walks - Plenty of scenic walking routes on the property grounds and surrounding countryside. Sailing - Rent a boat and head out on the lake, the perfect way to explore the shore. 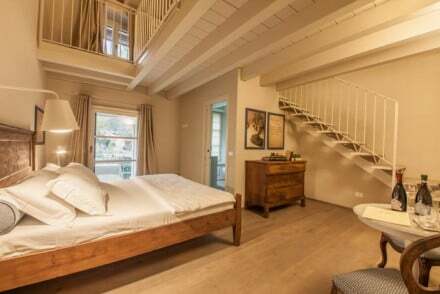 A sweet and cosy four bedroom guesthouse, delightfully decorated. 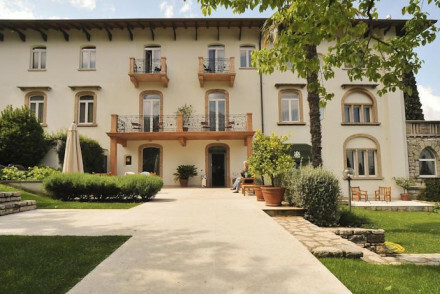 Perched on a hill side rooms boast unobstructed views of Lake Garda, plus wooden floors and elegant furniture. A restaurant serving traditional cuisine and homemade cakes, cheeses and croissants. You'll be tempted to call it home. 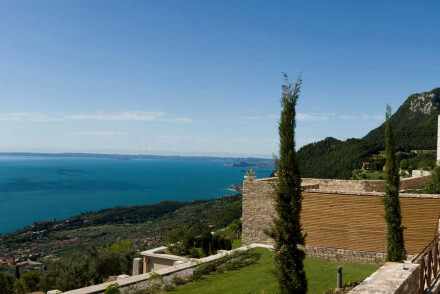 A fabulous stone villa with spectacular views over Lake Garda from its hilltop perch. Bedrooms and one suite are simply decorated with bare stone walls and glimpses of frescoes. Fantastic restaurant and terrace, swimming pool, and gardens around. Romantic, traditional, gourmet. Handsome Victorian villa right on the water's edge. Light and airy bedrooms with original decorative flourishes and antiques. Fragrant gardens sloping down to the lakeside. Its unassuming and sophisticated charm transports one to another time. Literary - DH Lawrence stayed on the lake for months at a time and would write the final version of Sons and Lovers here. Great walks - The beautifully maintained gardens are a feast for the senses with bougainvillea, climbing roses, olive and lemon trees. Sights nearby - Gargnano, one of the few villages on the Lake that still maintains its original structures, is only one km away. A relaxation and well-being destination of choice - Villa Paradiso offers 7 day bespoke clinical treatment programs. Warm and elegant bedrooms are designed in a contemporary style that complements the traditional Italian country house. A grand hallway entrance and chic fine dining. 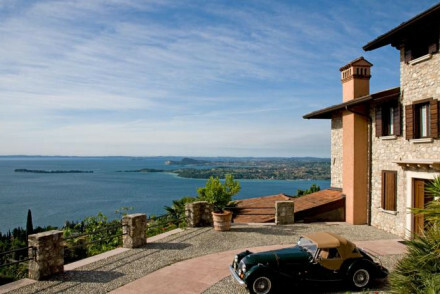 Spectacular spa resort overlooking Lake Garda from its hilltop perch. Rooms and suites in contemporary design with private hot tubs and sun decks. Excellent organic restaurant, swimming pools, meditation gardens and parklands for roaming. Designed for total relaxation. Views - Spectacular views over Lake Garda. 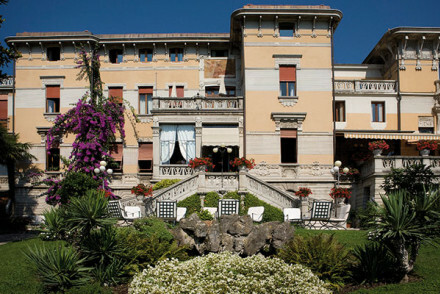 Grand and charmingly old-fashioned villa hotel with a splendid setting in pretty Sirmione. Lovely lakeside gardens, grand 30s style bedrooms, frescos and antiques. Private swimming jetty and lovely pool. Super romantic, if you like historic charm. Garden - The hotel boasts a five hectar garden with fountains, neoclassical statues and natural terraces overlooking the lake. Great walks - Wander the huge five acre gardens that surround the property, with elegant landscaping and wonderful statues. Swimming Pool - Heated outdoor swimming pool with outstanding lake views. 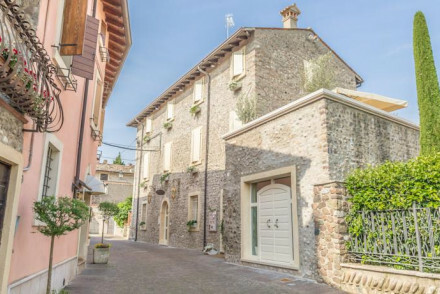 In the historic centre of Sirmione, with traditional stone exteriors matched with elegant chic interiors. Boasting a bar and restaurant set besides Lake Garda, spa facilities and beautifully-maintained gardens. Rooms are light and spacious and also offer fabulous views. A luxurious stay. Romantic Break - Breakfast, lunch and dinner can be held on the terrace overlooking Lake Garda, but you can eat in bed if you want more intimacy. Total relaxation - Spa and sauna facilities on-site, and massages are available on request. 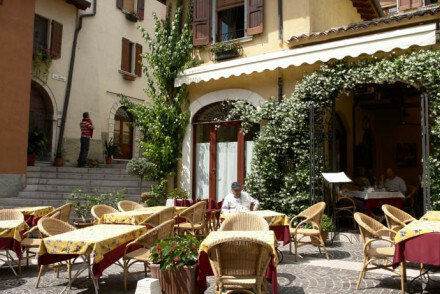 Sights nearby - Set in the historic centre of Sirmione. 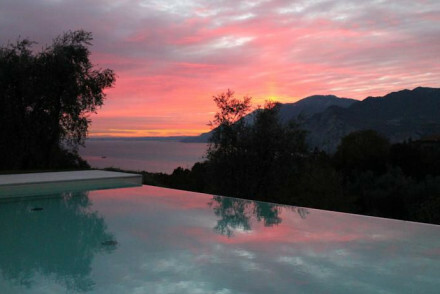 Five Star luxury on the shores of Lake Garda and at the foot of mountains and nature reserve. 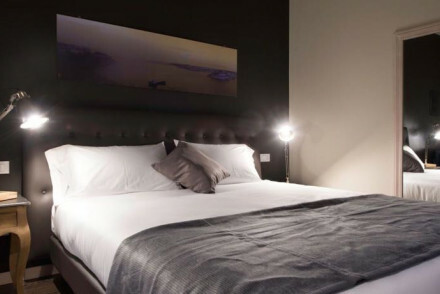 Stunning liberty building is home to designer contemporary flair - rooms and suites have all glass walls, modern gadgets, huge beds, and stand alone bathtubs. Fabulous spa, gourmet restaurant and grounds. Ultimate luxury lakeside hotel in an historic house. Like staying in a private home, full of aristocratic heritage, with restored interiors and antiques, beautiful fabrics and paintings. Gourmet dining, a perfect honeymoon escape for those that can afford it.